I have seen countless patients through the years do what all of us would do when presented with an impossible problem. They seek out the most famous doctors they can find and get many opinions. Oftentimes these are surgeons, and if the patient has neck or back pain, they’re spine surgeons. This is how Tina’s story begins. What happens when, suddenly and for no reason, everything you’ve always taken for granted is no longer there? This is what happened to Tina. I also know this one personally as the same thing happened to me a few years back. I still remember the feeling that something was pressing on the back of my shoulder and the severe pain. Tina’s experience was similar in that what she defined as her life (i.e., the things she could do) began to rapidly close in around her. Tina’s neck became a problem out of the blue in October of 2017. The pain started with a sharp pain in the left shoulder with some tingling down the left arm. She had no injury, so she wasn’t sure why this was happening. In February of 2018, she had an epidural steroid injection. For the first 48 hours after the injection, she felt very dizzy and achy and then had 100% relief for four days. She then had a massage in the area, and that caused her pain to return. Physical therapy and chiropractic care helped the pain become more intermittent. However, what she could do on a day-to-day basis was very limited. By October of 2017, Tina was fed up with feeling this way and got an MRI. A left C6–C7 disc bulge was discovered, and this began a series of surgical opinions. She saw all the finest surgeons at Stanford and UCSF (she lives and works in Silicon Valley). The consensus was that she needed neck surgery to remove the disc bulge that was irritating the nerve. However, that’s about when she found Regenexx and then, on the advice of a friend, decided to fly to Colorado for another opinion. Tina’s first neck epidural, as mentioned above, was with steroids. An epidural is an injection around irritated nerves. The goal is to calm down the local swelling and reduce pain. Tina got her life back without surgery. We’ve done three treatments using PL injected into her facet joints and into her epidural space around the irritated nerve. She can now take long walks and do many of the things she had given up. In fact, friends and family have begun to notice, one of whom has his own neck issue and will be making his way out to Colorado soon. How is this possible without removing the offending disc? By the time we’re in our 40s, most of us have disc bulges in our necks and never notice them. It’s only when the chemical environment around the bulge and associated nerve becomes toxic that they cause symptoms. 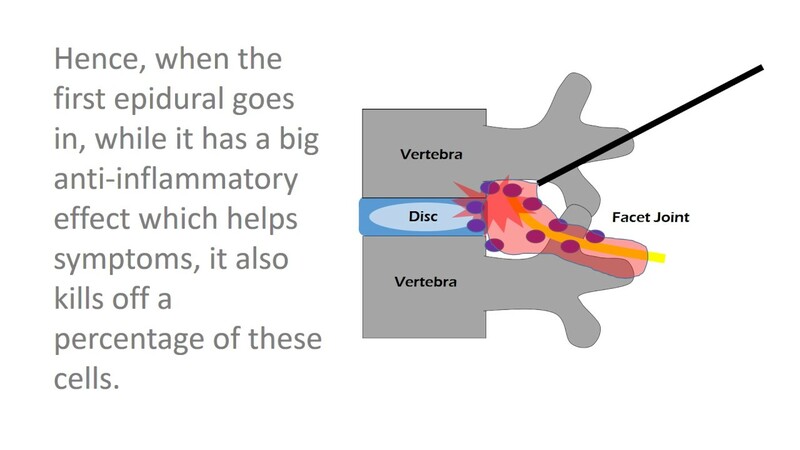 Hence, 95% of the time, you just need to get the nerve healthy again and fix some of the biomechanics (like a sloppy spinal segment due to loose ligaments) and the patient never needs to have the disc removed. Tina really wanted me to let everyone know who she is as she’s a healthcare technology influencer. She’s now on a mission to make sure that others get access to what she had done. She used to work at Yahoo in healthcare and then since has done tech and healthcare consulting. Her goal now is to use her influence to help us get Regenexx covered by Silicon Valley companies. The upshot? Of all the things we do, one of the most gratifying is to take patients who are contemplating a big and irreversible surgery and help them dodge that bullet. 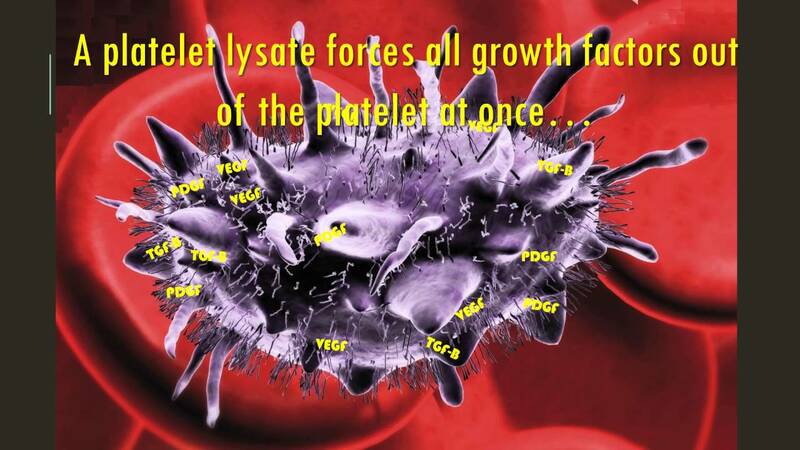 Once they see what their own platelets or stem cells can do, they are hooked on the idea of using advanced imaging guidance to place substances that can heal in the right spots. It’s great to see Tina out there proselytizing Regenexx! I've been following you're blogs for a while now. I have to say, this all sounds very promising but I ask myself, if stem cell therapy works so well, why wouldn't insurance cover the procedures? Seems it would be much less expensive than something invasive like disk fusion surgery. I am 100% in agreement with using Regenexx, but I wish the healthcare system would get on board with covering these procedures. Question about the frequency and timing of injections. Do you do one and see how the patient responds or were three planned? How much time between injections? How much does each injection cost? We generally do a single injection as proof of concept before ordering more. Generally, there is one month between injections, but this can be as many as three months. Cost depends on what is needed, but the call center can get you started with a phone review or a local appointment to see if you're a candidate. I have the same issue as Tina (c6-c7 bulge with nerve compression). I reached out to Tina and she has graciously shared her experience with me. I would like to learn more about the PL injections as a potential candidate. Eric, best to reach out to staff on the website to get a phone review scheduled with one of our physicians where we can see if you're a candidate for what we do by reviewing your images and history.